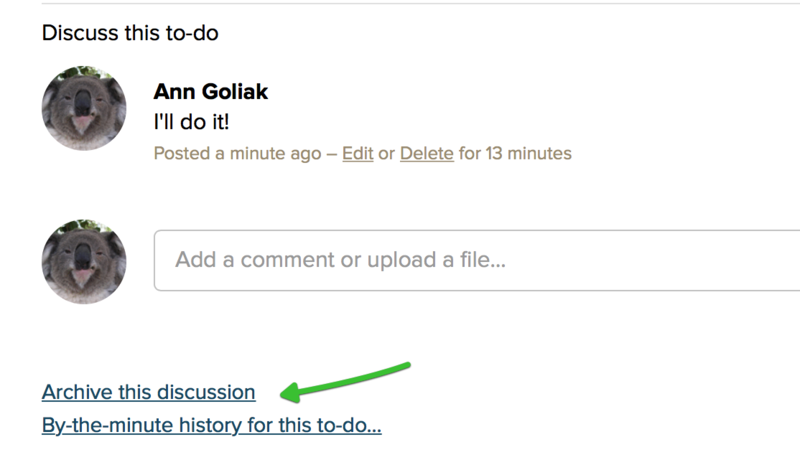 Any time a comment is added to a message, to-do, file, or event, a discussion thread will be created. 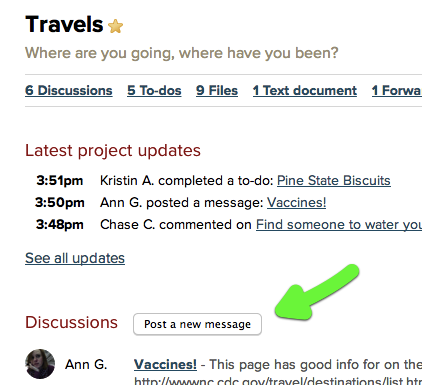 The most recently commented-on threads will display at the top of a project's main page. Go to a project and click to post a new message. 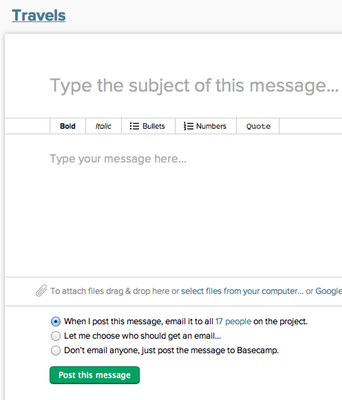 Type your message, select the notifications, and post it! Add a link to any discussion by copying and pasting the URL. It becomes clickable when you publish the post. If it's a link to an image or web video, the image or video will automatically be embedded into your discussion. Boom! When you click on a file, it will pop open in an overlay. Click the 'Discuss' button to add a comment. 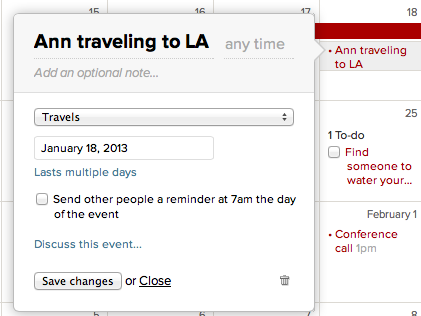 Go to the Calendar page and click on a specific event. Click 'Discuss this event' to add your comments. Click the 'Discussions' link on your project to view all your discussions. The default view is latest discussions at the top. 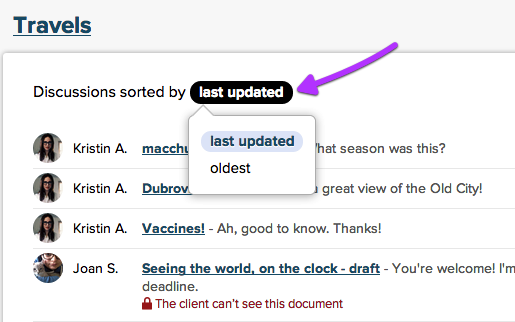 Click 'last updated' to change the sort to oldest. You can filter your discussions. Just type in the filter field and Basecamp will find matching discussions. When you reply to a discussion via email, make sure you're sending your email in plain text, not HTML. Here's how to check. Head to your discussion and scroll to the bottom below the comments. Click the 'Archive this discussion' link. 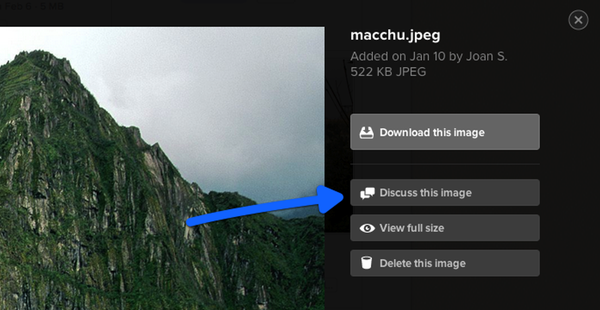 Archiving discussions simply hides that discussion from your Latest Activity feed. It's helpful if you want to move a discussion out of the way. You can still add comments to this discussion, and reopen it at any time. You can also archive a bunch of discussions at once! Click the 'Discussions' link on your project to view all your discussions. 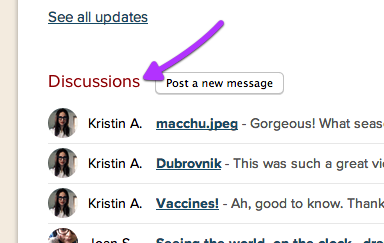 Click the 'Archive' button next to all of the discussions that you would like to move. You can always show these discussions again by clicking to show 'archived discussions'. Did you know you can use Emoji in any discussion thread? Fun times!